These events fulfil the prophecy that 'The Son of Man must be handed over to sinful men, be crucified, and three days later rise to life.' (Luke 24.7). 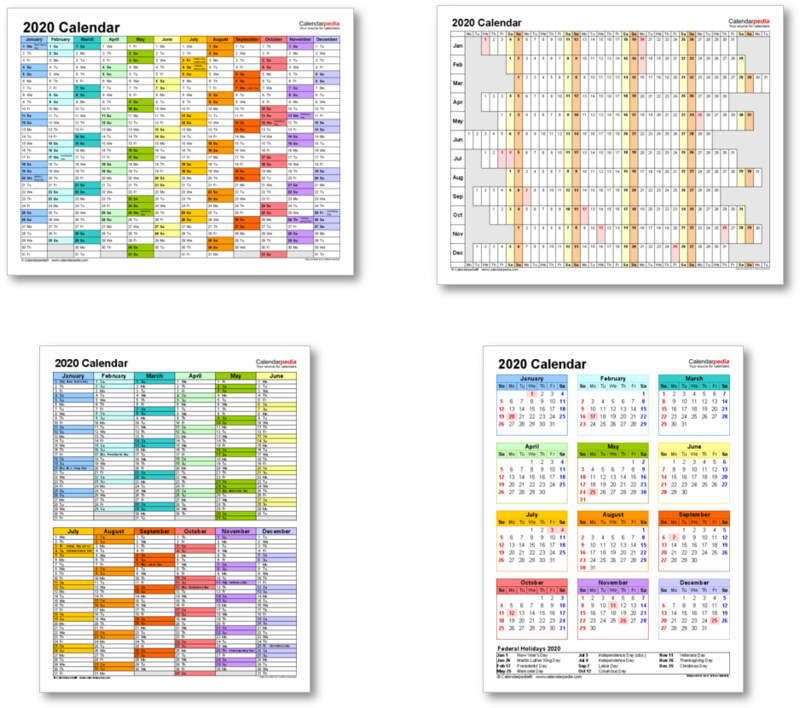 Easter is a 'moveable feast', which means that its date is not fixed in the calendar, but is instead calculated according to the lunar calendar, formalised in Ecclesiastical date tables. It is based on the date of the vernal equinox. In AD 325 the Council of Nicaea decreed that Easter always falls on the first Sunday after the first full moon that occurs on or after the vernal equinox. The date of Easter Sunday can thus fall between March 22 and April 25. 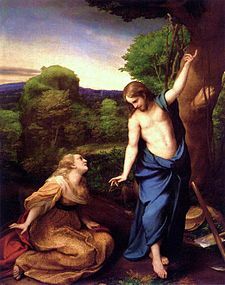 The date of Orthodox Easter (also known as Pascha) as celebrated in Eastern Christianity is the same as Easter in some years, but differs in other years. 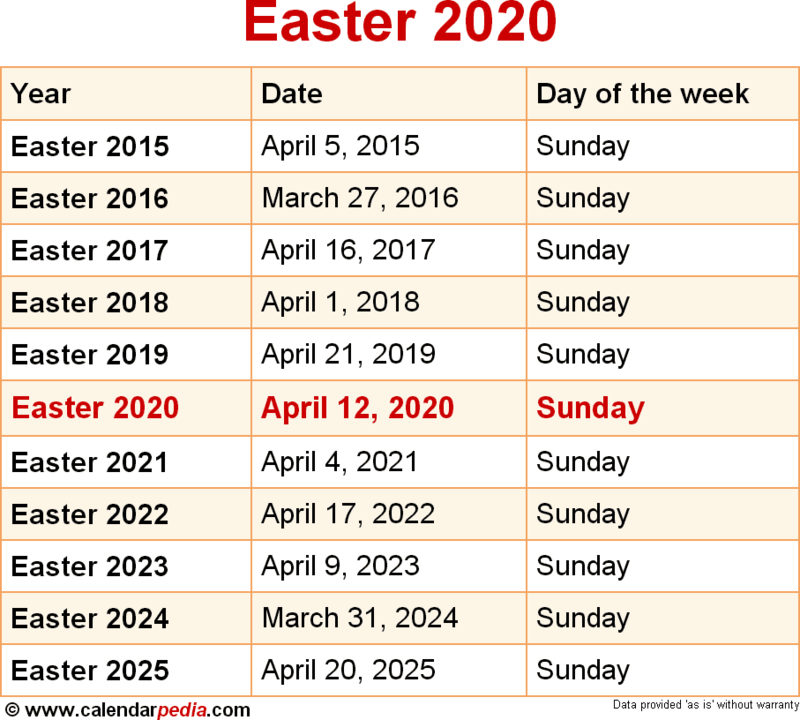 A common typographical error for Easter 2020 is to write Easter 2920. The next occurrence of Easter is marked in red.